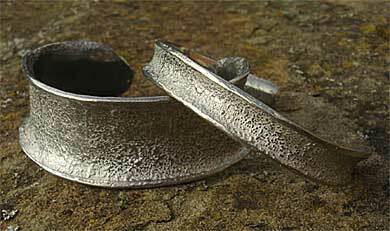 WOMEN'S CUFF & TORC BRACELETS : LOVE2HAVE in the UK! The BEST! Quality women's cuff and torc bracelets all handmade in the UK at prices you can afford, fully guaranteed and returns accepted. Standing out from the crowd is of crucial importance when it comes to choosing designer jewellery and especially so for bracelets. We have collected together for her a range of pieces that can be worn with most outfits as we have chosen neutral colours for you. While we understand that many bracelets that you come across either online or in traditional retail outlets are very bold and brash in colour, we know from our vast experience in online trading that women looking for a designer piece prefer something that can be worn for more than just one occasion and match various outfits and fashions. We also know that comfort and fit are of paramount importance too. When it comes to fit, these bracelets need to feel smooth on the wrist. They also need to be secure, so won’t fall off once slipped on, and they need to be the correct size so as not to feel too tight. All these designs tick all the boxes on the above, and we can tell you what size in internal diameter you will require regarding your wrist size also. On average our women's bracelets fit 5 to 7-inch wrists, and they can all be adapted if need be, but please do email us first if you are not sure. As you can see we sell something to suit everyone (including our men's silver cuff bracelets), from the more unusual and oxidised/black etched pieces to the more textured and unique organic looking styles, and all are made here in the UK by small independent jewellers.